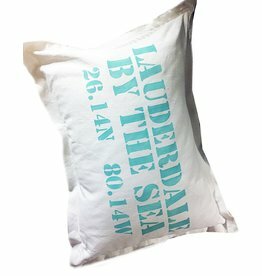 Interior Digs n Gifts features all kinds of customized Lauderdale-By-The-Sea Souvenirs and Gifts. You never know what you might find with us. We like to switch it up every now and then whenever we come across something unique other then your typical tourist souvenirs. Today it may be some simple cocktail napkins, tomorrow it be a piece of jewlery, handbag, picture, cheese board or one of kind Christmas ornament. 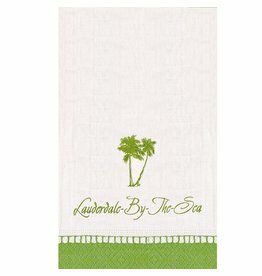 We think of our Souvenirs as High Style Lauderdale-By-The-Sea souvenirs and gifts! We make our items for our Local Residents of Lauderdale-By-The-Sea as well as for our tourist, many of witch we use in our own LBTS home. 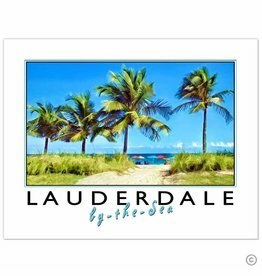 So whether your a local looking for a touch of something Lauderdale-By-The-Sea or a visiting tourist looking to remember your stay in our lovely beachside community. We will mostlikely have something unique for you! Size: 24 x 36 inches x 210-GSM thickness w Glossy Finish. Wall Poster 210GSM w Glossy Finish.Coral Reef Fiesta - LAUDERDALE BY THE SEA - FLORIDA Poster. By artitst Charles W. ©Charles W Gallery. Wall and Poster Art Series. Set of 18 Paper Linen Guest Napkins. Cutomized with Beach Chair and Umbrella Icon and Lauderdale-By-The-Sea text.